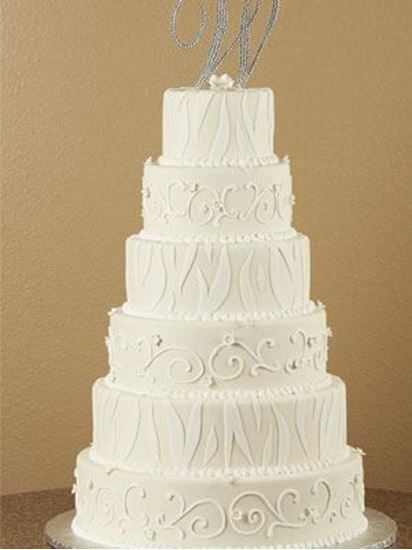 6 Tier Wedding cake with 6", 8", 10", 12", 14" & 16" round tiers. Made with buttercream and fondant. Not including Monogram cake topper.